For many years station wagons were the chosen vehicles to cross the landscape of America and these large and bulky cars were perfect for the ride. They offered us the size and capability needed to haul the cargo and the family the way we wanted to and allowed us to take vacations or head to holiday gatherings in vehicles that are perfect for the ride we needed to enjoy. The wagon has become more of a foul name for any vehicle over the years, but recently there has been a change in the market and more wagons are showing back up on the market. Not to be left out of the new wagon direction for some vehicles GM has developed the wagon that will become the model we will see. 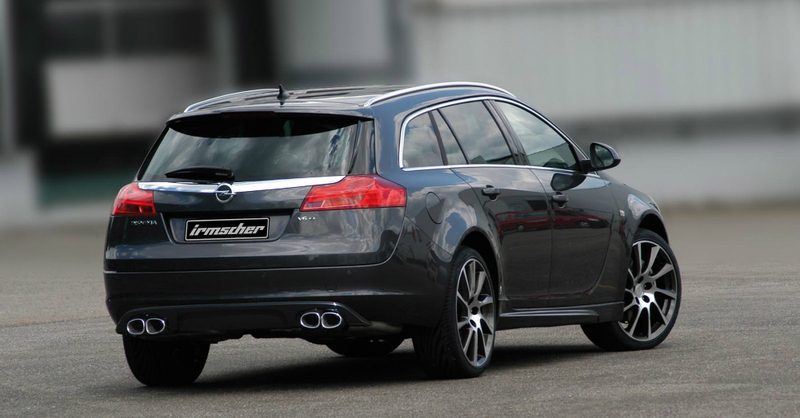 This wagon has already enjoyed success in Europe as the Opel Insignia Sports Tourer and it will continue to do so for the 2018 model year, but this wagon is also making its way to the US as well. The name for the wagon will be the Regal TourX and it will make its debut for us to see at the 2017 Geneva Motor Show. The look of this new wagon is that of a lengthened and raked car with more style and grace than you might expect from a station wagon at all. This car has a large front end with a big engine bay but barley any angle from the hood to the roof to give this car more aerodynamics than you would expect. Once you get to the roof of this new wagon it has a slow and long slope downward to the rear of the vehicle to make the car appear to be a large and long bullet. This shape gives this wagon the desired curves and the ability to be attractive and functional at the same time. The new Regal TourX will ride on the Epsilon II platform which is also known as the E2XX which is able to give you models that are either FWD or AWD which are both expected to be offered on this new Regal wagon. Other models that use the same platform are the Chevrolet Malibu, Impala and the Buick LaCrosse. If the Regal wagon works there is a chance we see one or more of these other models built as wagons as well. The new Regal TourX has been seen in California and the only camouflage it had on was the Opel badge and a European license plate. this new wagon may be the one that finally brings back serious style in the wagon market and makes it easier for you to enjoy the ride from a car that has the look and feel of this premium wagon. With SUVs getting so much smaller, it’s easy to see how a wagon could become a leader in the market and give us a ride that we want to enjoy on any road, giving us a better reason than ever to take the long road trips we once enjoyed.